Silhouette Spa and Laser is proud to offer Intense Pulsed Light (IPL) complexion enhancing laser facials. IPL is a complete solution for cosmetic skin treatments. Many people desire a clear complexion, but even with meticulous skin care and safe sun practices, flawless skin can be difficult to achieve. 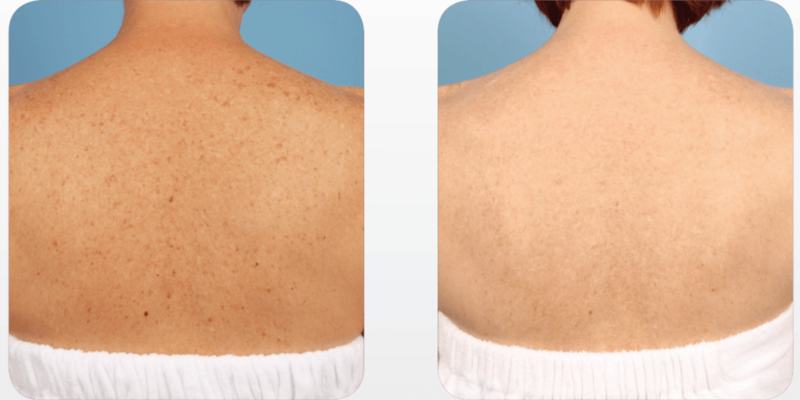 Photorejuvenation, a minimally invasive skin procedure which uses IPL technology, can help reduce the appearance of common skin issues, including freckles, brown spots, broken capillaries, rosacea and sun spots. IPL also stimulates collagen and elastin fiber production, thereby reducing the appearance of fine lines. At Silhouette Spa and Laser, we start you with a free consultation to answer all of your questions and to determine whether you are a good candidate for IPL treatments. 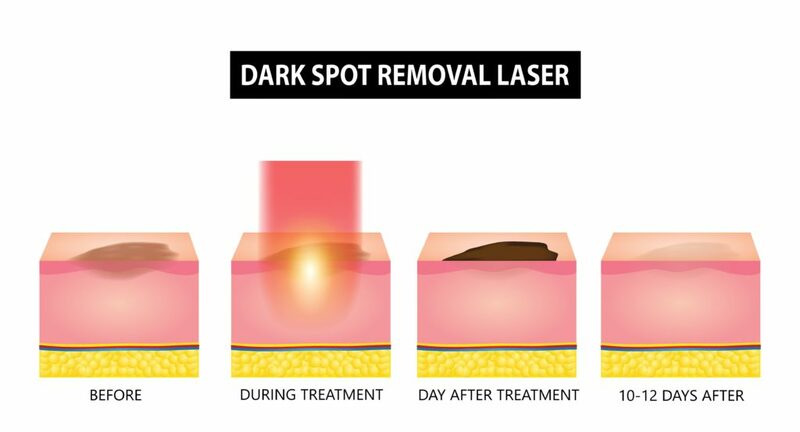 Consultations and treatments are done by our certified laser technician, Mira. Mira has a Bachelor of Science degree, a diploma in Advanced Medical Esthetics, and a great deal of experience in the field. Photorejuvenation is the treatment of skin pigmentation, rosacea and sun damage in the skin by using Intense Pulsed Light (IPL). Intense pulses of visible, broad-spectrum light ranging from 515nm to 1200nm are applied over the patient’s skin through a continuously cooled applicator. Cut-off filters in the handpiece are adjusted to change the range of wavelengths, optimizing the light for different applications and skin types. The light penetrates the tissue and is absorbed by chromophores (the parts of molecules responsible for colour) (e.g. oxyhemoglobin in blood vessels, or melanin in pigmented lesions). The chromophores are heated to destruction and are then naturally reabsorbed by the body. The treated pigmented lesions then flake off. The end result is more even and youthful looking skin after treatment. IPL can help treat the following symptoms: Rosacea, Excessive flushing, Broken capillaries, Wrinkles, Textural problems, Large, visible pores, Melasma (tan or dark skin discolourations), Hyperpigmentation (brown spots), Freckles, Age and sun spots. The number of treatments that a person will need varies. You may need anywhere from 1-5 treatments. You laser technician will be able to give you a better estimate during your consultation once she has discussed your skin care concerns and goals with you. The intense pulses of light used in the photorejuvenation procedure may cause mild discomfort. Some patients liken the sensation to a rubber band being snapped against their skin. -Alert your laser technician if you start taking any new medications between your consultation and your treatment day. We may need to reschedule your appointment. During your initial consultation, the esthetician will inquire about your medical history; you should be prepared to discuss aspects of your medical history including information about previous surgeries, past and present medical conditions, current medications, and any allergies you may have. The esthetician will also learn about your specific skin concerns, examine your skin, and discuss which areas may be improved by photorejuvenation. Other topics that should be covered include the planned approach to your treatment, the results that you can anticipate, your financial investment in the treatment, options for anesthesia, associated risks and complications, what you need to do to prepare for your treatment, and what you can expect after your treatment. Finally, the esthetician will design a treatment plan tailored to your skin concerns and will include the estimated number of treatments required to achieve optimal results. Alternative and additional treatments may also be discussed during your consultation. The majority of photorejuvenation procedures take approximately 20 to 30 minutes, but the duration will depend on the size of the area being treated as well as the type and number of skin blemishes being treated. The esthetician may apply a topical anesthetic to your skin to minimize discomfort and/or a topical gel to keep your skin from feeling too much heat during the light pulses. Both you and the esthetician will wear protective glasses to shield your eyes from the light during treatment. After your procedure, you will be closely monitored by your esthetician. After a short period of recovery time, you will be permitted to go home. Immediately after your treatment, you may feel a slight sunburn sensation in the area that was treated, though this feeling will subside within 24 hours. Patients generally do not experience any side effects in the two days following treatment. Though rare, scabs or blisters may appear on the treated area; it is important not to pick at them. You should avoid hot water contact and sun exposure on the treated skin for up to two days after treatment. 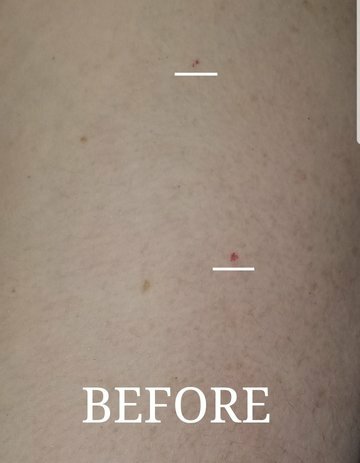 After forty-eight hours, patients may discover that the blemishes on their skin temporarily darken for a period of up to two weeks due to the skin’s natural shedding process. Over time, the skin blemishes will fade and become lighter than they were before the treatment. 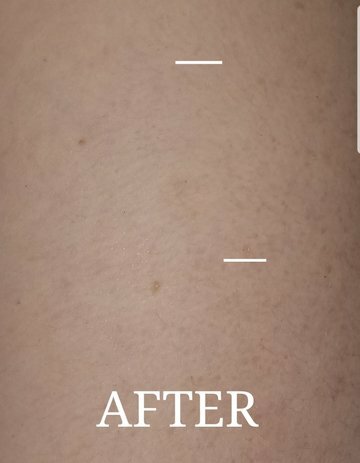 The length of your photorejuvenation results will depend on the type and size of the skin blemishes you are having treated, as well as the number of areas being treated. For basic photorejuvenation, patients are advised to undergo between two to six treatments spaced four weeks apart. Photorejuvenation can successfully reduce the visibility of brown spots, flushing or spider veins for a long period of time. However, photorejuvenation does not stop the skin from ageing, so new blemishes or wrinkles will likely appear over time. For this reason, many patients opt to undergo IPL treatment multiple times over a period of several years to minimize the affects of ageing on the skin.